Our 10 day The Lord of the Rings tour will take you from the capital Wellington to New Zealand’s adventure capital Queenstown. On the way, you’ll discover captivating scenery, visit unique filming locations, meet characters involved in the making of the films, and experience a whirlwind adventure through Middle-earth. With the increasing El Nino, Global warming and changing weather patterns we have found it necessary to have seasonal itineraries to enhance your experience of Middle Earth. These comprise of the following months, please email us for a copy of your chosen New Zealand season. Check in at the Tour Hotel in Wellington & enjoy some free time before meeting your Tour Leader. Meet LOTR/The Hobbit Calligrapher Daniel Reeve. Winter months include a special movie guest. Sail to Picton in the South Island, view the famous river, where the Dwarves escaped from the Elves! Scenic travel day via the South Island Kaikoura Coast Opportunity to see fur seals at play. Visit Pelennor Fields where 250 horses charged as King Theoden’s battle speech roused men to battle. Visit idyllic Arrowtown, with opportunities for Gold panning or Bungy jumping for the daring! 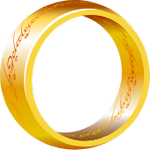 This morning we visit our last 7 The Lord of the Rings locations as a Fellowship. Devote today to optional Lotr activities ! Check in at the Tour Hotel in Wellington at any time from 2 p.m. onwards and enjoy some free time in the city until you meet with your Tour Leader. This evening you may like to dine at “The Green Parrot Restaurant” - said to be a favourite of Viggo’s. Accommodation: In Wellington city for the next 3 nights. (A full cooked Breakfast is included from Day 1 to 9) Wellywood Day, Miramar - New Zealand's movie capital! Weta Workshop, Weta Cave, The beautiful Roxy Theatre for lunch ~ included in the tour. Later today we check out the "Get off the road!" location from FOTR, overlooking the city. Presentation day with LOTR / Hobbit Calligrapher Daniel Reeve. Winter months a special movie guest is included as well. Later today is yours to explore Te Papa Museum / see a movie at the special Embassy Theatre / or visit other Wellington places of interest. It's time to head for the site (remote magnificence) that is EDORAS! We trek to the top and fly our Rohan Banner on the site of the Golden Hall! Later we’ll view beautiful, mountain-fed lakes - Tekapo and Pukaki and see N.Z’s highest Mountain - Mt. Cook, over 12,000 ft high. Accommodation: Twizel (Buffet Dinner included tonight.) This is a great place to study the night sky - and see the Southern Cross. Special guest tonight is a local Hobbit inspired seamstress, you may like to buy your own cloak. We depart for the Pelennor Fields ~ an area that once rang to the thunderous sound of 250 horses on the charge, as King Theoden’s battle speech roused men to battle. Moving on, we have a guided tour of the stunning Laketown film location and then Omarama for lunch. After lunch we make time to try your archery skills - perhaps we have a budding Bard or Tauriel amongst us? Overnight - Cromwell. The breaking of the Fellowship. Buy a picnic lunch today to take to Mavora Lakes, where we visit several LOTR sites - The calling up of Shadowfax - The Silverlode bridge - The Orc funeral pyre - Fangorn Forest - Nen Hithoel - The log which concealed Merry & Pippin before Frodo left the fellowship, - And where Sam and Frodo paddled away on the next stage of their journey. Stunning scenery! We arrive back in Queenstown by late-afternoon. Tonight we are having our farewell dinner at the Elements Restaurant, at our hotel (included in tour costs). Devote today to optional Lotr activities ! - A Dart River Jet Wilderness Safari past LOTR & Hobbiton movie sites. - Take a helicopter flight to the Ford of Bruinen. - Perhaps a cruise on Lake Wakatipu. - A parasail over the lake. - A coach & cruise trip to Milford Sound. - A guided walk on the Routeburn Track? - A Nomad Safari LOTR 4 Wheel drive half day tour. - An adrenalin Jet Boat ride or a Bungy jump? - Para-sailing? Para-gliding? White water rafting? A hot air balloon ride? Trout fishing? Relaxation at Onsen Hot Pools? - Or retail therapy ~ shopping in Queenstown. The list "goes ever on" and your Guide will discuss the many options available and assist with bookings. Alas ~ your journey through Middle-earth with Red Carpet Tours, is at an end. Thank you for travelling with us ..... there and back again..... Haere ra ~ Good-bye from us all at Red Carpet Tours. "Nai tiruvantel ar varyuvantel i Valar tielyanna nu vilya: May the Valar protect you on your path under the sky.’"
With our 10 Day Itinerary, you join the group in Wellington at our tour Hotel on the evening of Day 4 of the full tour. When arranging your departure home from Queenstown at the conclusion of the tour, you may like to consider an overnight stay in Auckland instead of catching an international flight home that night. Next morning from your Auckland city accommodation you can take a Day Tour to Hobbiton, dropping you at Auckland City at around 4 p.m. that same afternoon, in time to check in for your international flight. Must be pre booked, not always available. Special presentation and custom souvenirs from the LOTR and The Hobbit Calligrapher and map maker, Daniel Reeve! Behind the scenes Weta Workshop Visit and tour as well as exclusive discounts for Red Carpet Tours passengers! Meet people involved with the LOTR & The Hobbit Trilogies! Special movie guests and artists. Please proceed to the booking form and include any questions you may have in the "comments" section.